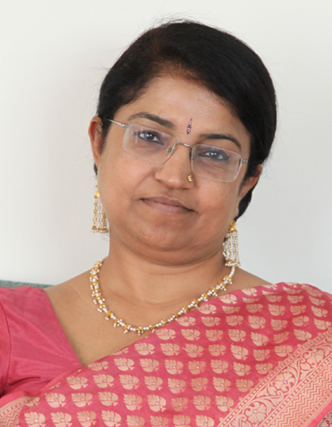 Savita Mahajan: I thought I will start by taking you 30 or 35 years back. How did you choose to get into the IT business when it was not really heard of? Azim Premji: I think it was fashionable to diversify in those days. We also took advantage of an early opportunity that we were presented with. IBM had to withdraw operations from India as a result of the ruling brought in by the then Union Minister for Industries, George Fernandes. The company’s exit from the country created an enormous opportunity, since IBM enjoyed a dominant market share. We were looking for a business which would be technology focused, with the opportunity to create annuity revenues and which would also have high service content. Information technology at that stage, even with an entry point of hardware provided this ideal opportunity. Subsequently, we set up operations with a strong leadership team, who were more geared and oriented towards business rather than technical aspects. We started with hardware and later ventured into tailor made solutions for hardware since importing such solutions was restricted at the time by prohibitive tariff barriers. We built a very strong after-sales service network and a very strong Research and Development (R&D wing). By the early 1980s, we had far more people in R&D, solution development and servicing than in manufacturing hardware. After India’s economy was opened up, we did not require that many people in R&D. They formed the seed for our global services business which became the largest business in the world as a third party R&D Services provider. What are the entrepreneurial lessons that you would share with the youth today when they are starting their enterprises? I think the most important lesson which I have learnt is hard work. People in the business are smart. If you want to outsmart them then you better outwork them. The second is perseverance and tenacity. And the third is basic honesty — in running your business, in dealing with people, customers, suppliers, government. It is a very simple fact and there is no point getting esoteric about it. I was going to take up the third issue later but, since you mentioned it: in the current scenario in the country, rooted in pessimism and a sense of not being able to do anything honestly, what would you say to the younger generation? You have to accept one thing, you clap with two hands. You don’t clap with one hand. So there is a giver and a taker. You have just got to stop being the giver. And our experience is that once you establish an uncompromising consistency, you can get your job done. We don’t give any bribes – to government or private industry. It also significantly reduces transaction costs, thus reducing delays and allowing you to pursue the business’s true interests. De-prioritise those states where doing business is a problem in general. The market is large enough to be able to prioritise on what you do. At the end of the day you have to get an ideal input-output ratio. One cannot add infinitely on the input side to get a marginal output. So we still keep an active eye on what we do. You have had a reputation for being very frugal in both your professional and personal life. Where does that value system come from? I live in a nice house, I drive a decent car. I do not splurge, in conscience you cannot splurge with the sensitivities that you notice around you. I am just sensitive to the environment that I live in. When I need to travel internationally for more than six hours I follow company policy and travel business class. When travel time is below five or six hours I still travel by economy. Plus I have taken the onus to set the standards. If you insist on certain standards to be followed by the management, it is only right that you exemplify those standards. But with age the desire for comfort increases, I hope I don’t compromise on that. I don’t think you should be so harsh on yourself. You can afford to give yourself a few liberties. I want to now move to your philanthropic efforts. What made you focus on working in the education sector? Let me first talk about what Wipro does and then I will talk about what the Foundation does. We chose education as a theme primarily because we aimed at focusing on a single area and doing excellent work in that specific area. We also aimed at something that would be transformational, lasting in impact and which would change the context of society. Education in India is a neglected area where long-term work is much required. Also, one does not see quick results in education, like in healthcare or other areas of governance. For example when working on certain issues of the poor one can see almost immediate results, because of the reactions and the changes that are brought about. However, education is a project which requires exceptionally long term focus. The Wipro Applying Thought programme was the first among initiatives launched to engage with schools. The idea was to help reorient the school education system in the cities that we were present in. While engaging with principals, teachers and owners we also adopt a holistic approach by getting the students involved in asking questions, getting away from rote learning and getting involved with the environment and sustainability. Over the past 12 years we have engaged with over 30 social organizations, helping them develop and in the process directly engaged with over 1,400 schools, over 8,00,000 students, and many times more indirectly. The second program which we run was launched in 2007 and is called Mission 10X. One of the key concerns we face is that of the quality of engineering education in the country not meeting the required standards. The course curriculum is outdated, faculty is ill-trained and students not challenged enough in the classroom. So we put up a group of about 15 full-time professors from our organisation and started engaging with the faculty and directors of the selected engineering colleges. In the process, we have revamped the curriculum and successfully engaged with more than 30,000 teachers and professors including developing an e-training module. Faculty from various colleges have had interactive and knowledge sessions at our campus. Alternatively, we deputed our people to the college campuses also. It has been a very successful program. The third program which we run now is in the United States was launched in 2013 and is called the Wipro STEM Fellowship Programme. The programme is aimed at training over 200 teachers for an extended period of two years in the methodology of teaching science, technology, engineering and mathematics (STEM), as also to be education change leaders in their school districts. The programme is in collaboration with Michigan State University and University of Massachusetts, Boston, which are two of the leading institutes in the world in designing pedagogical and content knowledge. We launched it about a year back and are in the process of scaling it up now. It is an expensive programme and some of our customers are also engaged in teaching for the programme as a CSR initiative. In addition to these three focused programs, we also have voluntary programmes where our employees participate. The financial support is jointly through donations from the company as well as employees. These have primarily been in areas of natural calamities such as the floods in Orissa, the tsunami on the Bay of Bengal coast, or the earthquake in Gujarat and disaster in Uttarakand. We move in when a disaster happens and we try to make a sustainable difference. We work through volunteers and NGOs. We identify projects and ensure that the projects are well executed. The same program (called Wipro Cares) also engages with local community issues, where we operate. While engaging with principals, teachers and owners we also adopt a holistic approach by getting the students involved in asking questions, getting away from rote learning and getting involved with the environment and sustainability. As for the Foundation, it is a not-for-profit foundation. The corpus is slightly over $ 5 (five) billion, which is created by my irrevocably transferring part of my personal shareholding in Wipro to the endowment. Through the Foundation and the network of field institutes it has established across district towns, our team engages with all key stakeholders in education including students, teachers, principals, district education centers and state functionaries. We are present in seven states with about 350,000 schools; our aim is to improve the quality and equity of education, through improvement in teaching, policymaking by the government, and other aspects of school education. It is a much scaled operation, and we are rapidly expanding it further. We are focused entirely on the Public (Government) School system, which often serves the most disadvantaged populations. We believe that for building a good, democratic society a good public education system is a must. Through the Foundation we also set up the University about three years back. It is purely dedicated to the field of education and related areas of human development. Currently we have about 350 students in the Master’s programmes in Education and in Development. The third batch will be graduating this year. We have about 90 full-time professors currently and will be adding 40 more members of faculty this year. As of now, we operate from a campus in Electronic City, Bangalore and are in the process of building our own new campus which will be spread across 90 acres. We are going to start undergraduate programs from the next year and our faculty is world-class. About 50 percent of our students get scholarships. Our selection process enables students from smaller towns and villages to compete fairly based more on social orientation, learning abilities and less on English language and such other skills. The University is a part of the Foundation and works closely as a central resource center for the overall Foundation. We encourage our students to spend about ten weeks in the field per year as part of the course curriculum. Of the two classes which have graduated, 70 percent have returned to small towns and villages and started working in social not-for-profit organisations; even the other 30% have joined social work in bigger cities. Through the Foundation and its network of field institutes and workers we engage with all key stakeholders in education including students, teachers, district education centers and state functionaries. With a presence in seven states and having engaged with about 350,000 schools, our aim is to upgrade the quality of teaching and learning and policymaking by the government. It is a much scaled program since we are rapidly expanding it. Is there enough opportunity in the rural areas to absorb these graduates? And what are such opportunities? Oh yes. Education levels and inclusion have to be much improved for the benefit of the youth of the country, and therefore the society. There are many private and public schools coming up. Government and community development agencies also provide opportunities for social engagement in sectors in addition to education. All our University students got placed on campus. There are various kinds of roles both in the education sector and overall social sector. Let’s look specifically at teachers, and there are many other kinds of roles not only teachers……the view that the government pays teachers little, is not correct With the 6th Pay Commission, an average teacher’s pay is now about Rs 23000- 32,000. That is a fair bit of money in rural areas and small towns. As a sharp contrast, private schools are hiring teachers at anything between Rs 5000 and Rs 7000. As a related aside, our experience is that 20 percent of the teachers in government schools are very motivated and engaged in education and social development. About 60 percent of the teachers become more engaged through genuine on the ground support, and the rest will not get engaged at all. That is not any different from industry. So we should not hold false impressions that most teachers are bad or don’t work. I want to end by asking you, I sort of alluded to this state of not just the nation and the economy but the state of the Indian society today characterised by a lot of pessimism and inaction. What are the two or three things that you would advice the new government to tackle first? They have to fundamentally attack the issues of education. That is in my opinion a very high priority. We have a primary healthcare scheme with funds, infrastructure and a delivery system but it is yet to be implemented wholeheartedly. They must also be sensitive about the environment and not choke it for industrial development. We are facing a crisis in jobs right now and must focus on creating more new jobs and engaging the youth in meaningful employment. Execution should be another focus area, to catalyse infrastructure and other huge projects which have the filter-down effect. The new government must be strong and decisive in its policy making.